So my brother started raising chickens to be able to have fresh eggs. It's is a relatively small operations with just a few "girls." This is what he has chosen to call them. 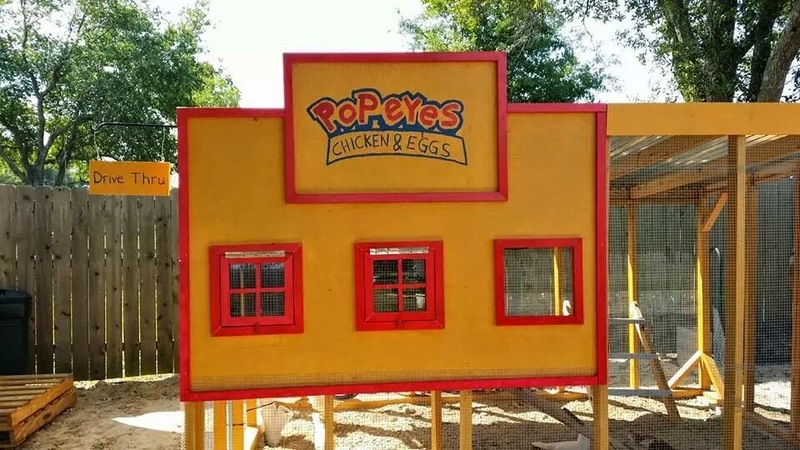 Anyway, my brother has never been one to just simply do things like normal folk and built this fantastic Popeyes Chicken Coop. I thought it was an awesome idea and looks great.